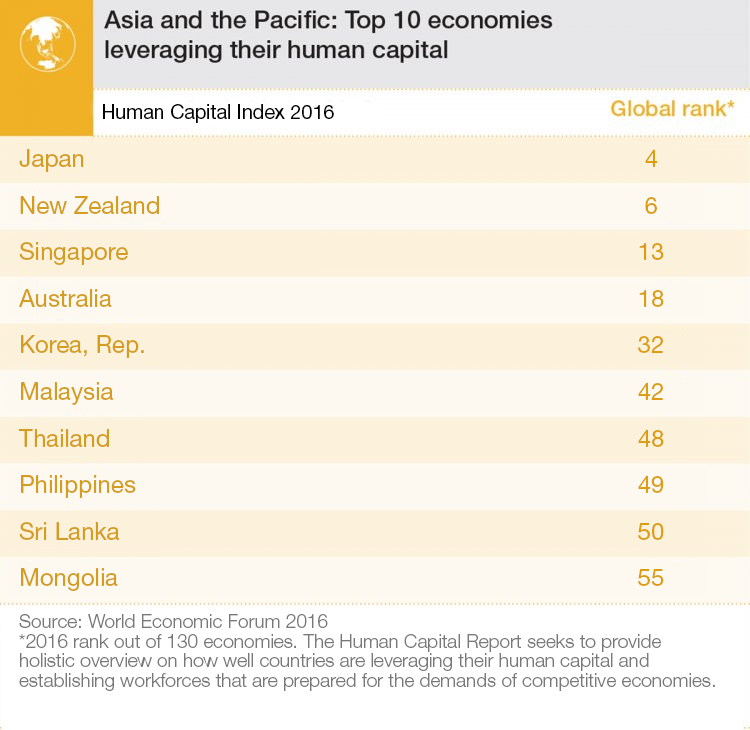 Scooper - Technology News: What skills do ASEAN countries need to meet the challenges of the future? When we think about future skills, we need to consider the uniqueness of the 10 countries within ASEAN - a bloc that is home to more than 600 million people. Technology has been transforming lives for hundreds of years - from steam engines, automation and machines, to progressively becoming an intimate part of humankind through smart homes, smart cities, smart nations, and smart work. All these have redefined our relationships, communication, and the way we work, play, perceive, construct, think, create and love. Here’s our three key insights into what this digital revolution means for future skills. 1. Everyone can embrace digital as our new sixth sense : being digital is to augment and enhance our five natural senses and not replace what is human. 2. Digital will change the limitations of space and time: The use of technology closes geographical distances, compresses space, creates a new living digital dimension, and increases the efficiency of speed. We no longer really need to organize our work, life and society around time restrictions. 3. Digitization allows for benefits to be shared with the broader community : A self-centred, secular approach of individual survival will no longer be sustainable in this brave new world of technology. This civilization of human-machine interaction allows for increased consciousness of our humanness and care for the broader humanity. To capitalize on digital assets in ASEAN, we need both hard and soft life skills. Hard skills mean being able to capture, translate and interpret data through data analytics and machine learning. We must also be able to filter and judge the massive amount of data; give meaning, add value and derive insights from data analysis. Life skills include: empathy, humility, attentiveness, open mindedness, patience, persistence, emotional intelligence, social and behavioural understanding. These drive the ability to be intuitive and discerning - to get to the essential truth and elevate insights where sense-making is required. Additionally, leadership qualities of purpose, judgement, effective decision-making, personal responsibility, confidence, optimism, and the courage to take a stand are needed. Most importantly, we’ll need young people to develop an interest in a deeper appreciation of life where they can discover a sense of meaning and purpose and achieve their potential. We cannot embark on this technological journey alone as an individual, or as a single country. The new technological revolution will require a common unity - a unity in diversity. While ASEAN celebrates diversity, we need to be united and anchored as one ASEAN identity to meet the challenges of an uncertain future. Developing a common bond requires building cross cultural competency, and can start from the school curriculum by learning about history, food and the culture of countries around us. Being united in one common ASEAN identity can facilitate job creation - we can network in our own backyards, and co-create new technology ecosystems. The service mind-set embedded in the ASEAN common identity can inspire and nurture our young people to give and think beyond themselves – to collectively participate in this digital revolution, promoting a more equitable distribution of wealth and quality of life and bringing peace to the region by ensuring access to technology for everyone. Technology isn’t just useful - it can change the nature of the world. This new nature is fluid and requires diversity, inclusiveness and a sharing mentality. Technology grows organically from an independent entity to the creation of networked ecosystems. A third level of skills will involve deep domain learning, acquiring knowledge in an area or sector that allows young people to be part of a networked community to contribute to the diversity of unique talents within each cluster. For example, deep-domain learning may be students specializing in trading and maritime studies at the International Trading Institute, Singapore Management University to build knowledge and contribute to Singapore’s strength as a trading and maritime hub. Other examples include sharing of science and technology with farming practices, or learning from farms on microfinancing across countries, leveraging their respective areas of expertise. This proposed approach of combining sectoral level skills with diversity follows a humanistic route, promoting a warmer society, with cross pollination of ideas, sharing, cooperation and innovation. 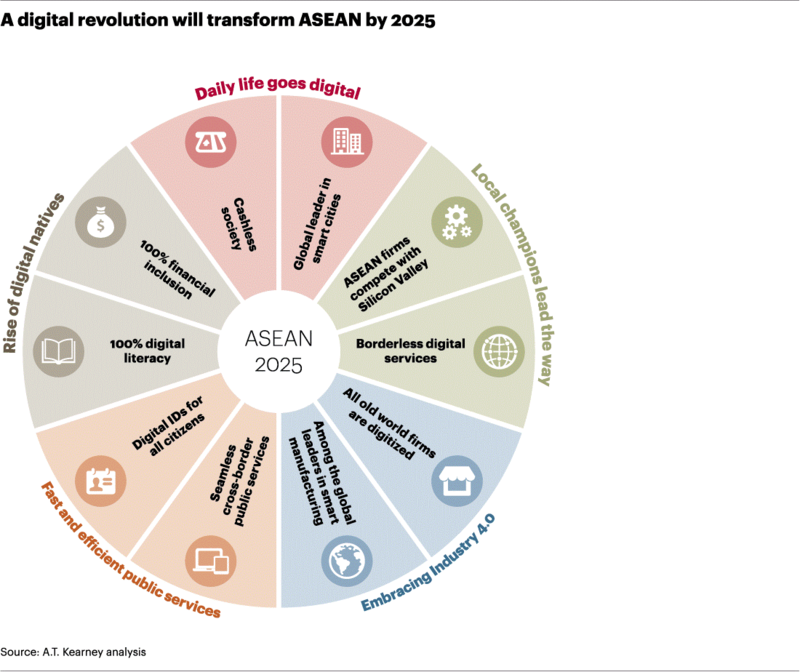 Navigating this uncertain world will depend on capitalizing ASEAN’s assets of a young, diverse and digitally savvy population. We must appreciate the inherent talents, skills and personal values that we have been endowed with at both individual and country levels; embrace diversity and cultivate unity with a common ASEAN identity leveraging sustainable technology and networked ecosystems to build an inclusive ASEAN. Then we can live up to the ASEAN Economic Community vision expressed in the 2025 blueprint of a resilient, inclusive and people-centred region.